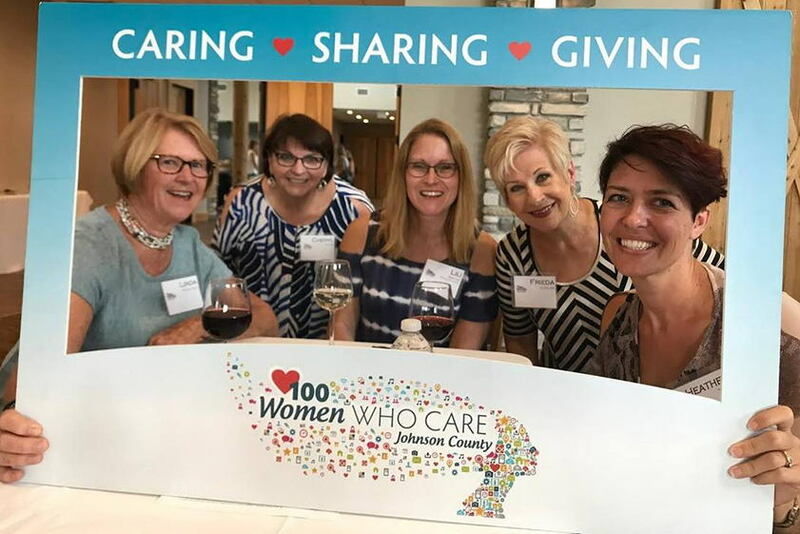 100+ Women Who Care Johnson County is a giving circle initiative created to support nonprofit organizations who help make our county a better place to live, work and play. In December 2015, four local women joined forces to launch a Johnson County chapter of the international 100 Who Care Alliance giving circle program. It wasn’t long before these women rallied others willing to financially support a variety of charitable causes impacting Johnson County. 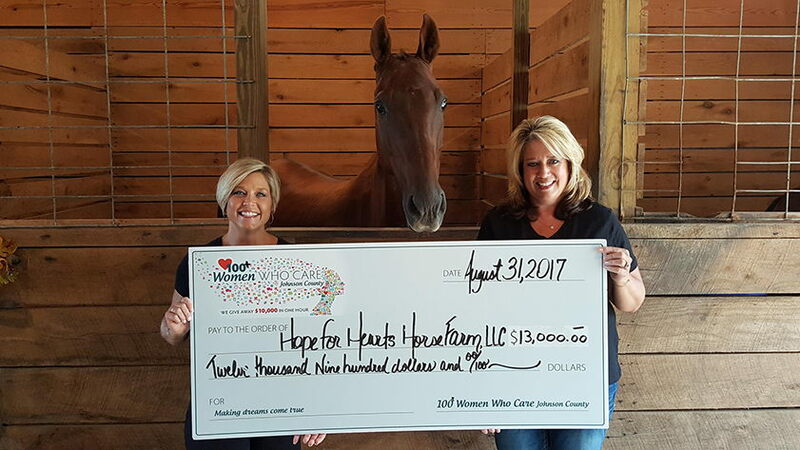 In March 2017, 100+ Women Who Care Johnson County reached an important milestone when membership reached 100 and the group presented its first $10,000 check. The chapter is growing strong with more than 100 women participating! Membership is not limited, so the potential to grow and help is endless. The group’s leadership believes 100+ Women Who Care is a great fit for any philanthropically-minded woman. The limited time commitment makes 100+ Women a great option for those who want to give back and can’t participate in a time-intensive volunteer role. It is simple and easy and fun to help! Members agree to a $500 annual contribution, paid in $100 increments, and attendance at as many quarterly meetings as possible. Tell someone you know about 100+ Women Who Care Johnson County. Attend as a guest and experience how much fun giving can be. Listen to Nicol Spradlin, a 100+ Women Who Care charter member, explain why she believes in this local giving circle program. Read Gail Richards’ article about 100+ Women Who Care and how pooling our resources makes for a greater community impact. Visit the international 100 Who Care Alliance website. View a 60-second video about how 100 Women Who Care works.